The projector that EuskalKultura.com will raffle for clubs that may need one. Don’t miss out! Would you like to not have to rent, or borrow a projector each time your club needs one? To participate in this raffle all you have to do is follow the instructions and send an email. The deadline to enter your candidates is Friday midnight (Euskadi time), so readers of EuskalKultura.com can then vote for their favorites. Don’t let this opportunity pass you by. But hurry up, European midnight is Friday 6pm in the US East Coast, 3pm in California, or Saturday 9am in Sydney. Zorte on, good luck! Donostia-San Sebastian. EuskalKultura.com will raffle a quality projector to clubs who need one that can be used for films, audiovisual presentations, as well as in Basque classes or any other activity. 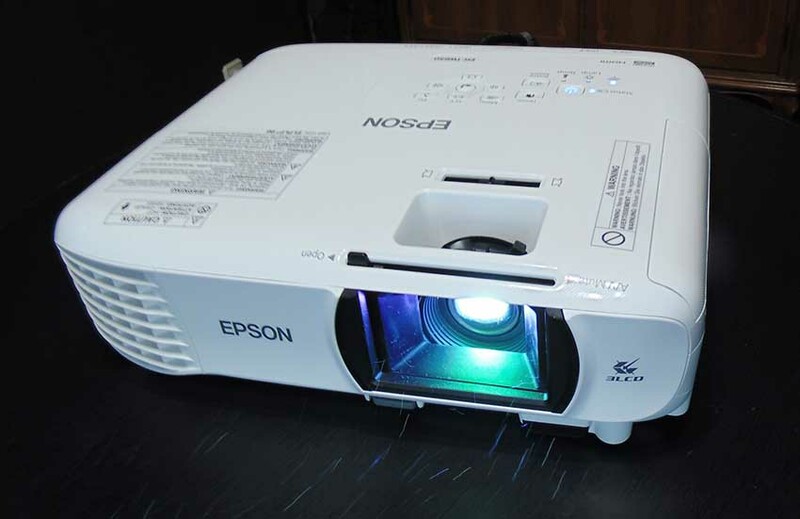 It is an Epson Projector (Model EH-TW650) which includes outstanding technical qualities that allow it to provide excellent Service to any Basque club. It comes with a remote, cables and a carrying case. 2 – On Thursday, September 14th we will publish a list of the names of the clubs that have entered the raffle. 4.- Each one of those votes / emails will be translated into a ticket for the projector raffle, in such a way that the Basque clubs that obtain the most votes will have more possibilities of winning the projector; and at the same time smaller Basque clubs, with fewer votes, will still have a chance, since the drawing will be from all of the votes / tickets received. 5 – Only one vote per person or email address (the same person cannot vote from various email addresses, and multiple persons cannot vote from the same email address). 6 – EuskalKultura.com will published the results by October 1st. 7 – The projector will be sent in the name of the person who sent the email to the Basque club he/she voted to. We´ll fix the best way to do it. 8. – EuskalKultura.com reserves the right to decide on possible errors or claims, and its decision is final.